China's Defence Ministry said in a statement that the Pentagon report misrepresented China's strategic intentions and exaggerated the "so-called China military threat." This year, China landed bombers on islands in the South China Sea as part of a training exercise. China's Defence Ministry has lodged a complaint with the United States about a Pentagon report that said China's military was likely training for strikes against the United States and its allies, saying it was "pure guesswork". The assessment, at a time of heightened US-China tensions over trade, was contained in an annual report that highlighted China's efforts to increase its global influence, with defence spending that the Pentagon estimated exceeded $190 billion in 2017. China's Defence Ministry said in a statement late on Friday that the Pentagon report misrepresented China's strategic intentions and exaggerated the "so-called China military threat." "China's military expresses resolute opposition to this and has lodged stern representations with the US side," it said. China is on the path of peaceful development and pursues a defensive national strategy, and has always been a contributor to world peace and protector of the global order, the ministry said. "The Chinese military's strengthening of modernisation is to protect the country's sovereignty, security and development interests, as well as global peace, stability and prosperity," it said. "The Chinese military's reform, weapons development and defensive capabilities in the internet space are just and reasonable. The criticism in the US report is pure guesswork." The Pentagon report said that while the People's Liberation Army had continued to extend operations, it was not clear what message Beijing was looking to send by carrying out bomber flights "beyond a demonstration of improved capabilities." This year, China's air force landed bombers on islands and reefs in the South China Sea as part of a training exercise in the disputed region. 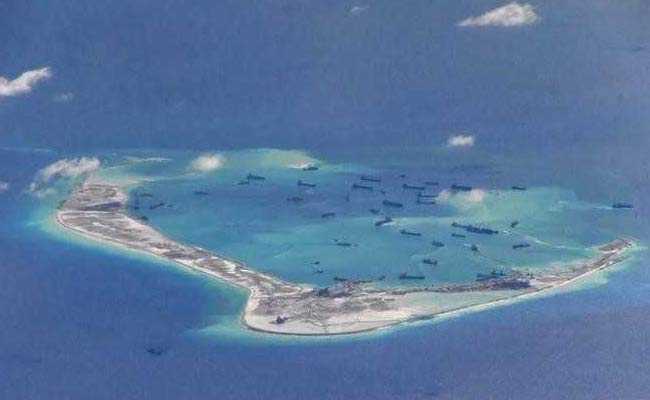 China's Defence Ministry said the "peaceful construction work" in the South China Sea was its right as a sovereign country, and it criticised the United States for its freedom of navigation operations there. It said the report by the United States harms mutual trust between the two countries, the ministry said. "We demand the US side abandons Cold War thinking, objectively and rationally views China's defence and military construction, stops issuing the relevant reports, and takes actual steps to promote and protect the stable development of military-to-military relations," it said. In June, US Defense Secretary Jim Mattis became the first Pentagon chief to visit China since 2014.